The XC90 V8 is the most powerful model in Volvo’s history. 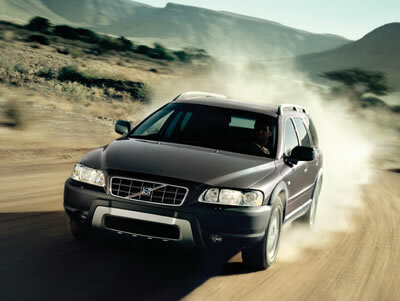 The transversely mounted, compact V8 was tailor-made for the XC90 using a 60-degree “V” configuration. It displaces 4.4-liters and features state-of-the-art technology with 32-valves and continuously variable intake and exhaust valve timing (CVVT). The naturally aspirated V8 develops 311 horsepower at 5,850 rpm and 325 lb.-ft. of torque at 3,900 rpm. In addition to providing premium SUV buyers with the power of a V8, the engine is also the first V8 to meet the stringent ULEV II emissions standards. The XC90 V8 is fitted with equally new, standard six-speed Geartronic automatic transmission and All-Wheel Drive with Instant Traction™. The latter employs improved, computer-controlled Haldex AWD that instantaneously delivers up to 50 percent more torque to the rear axle only when needed, such as during takeoff. Also setting the XC90 V8 apart are V8 badges on the grille and tailgate, color-coordinated body-side moldings and mirrors, a graphite-gray grille, chrome-plated trim around the bumper air intake and twin exhaust pipes. A standard tire pressure monitoring system has been added.